What’s the best way to persuade somebody when talking to them? You have to be confident, talk fast and swear a little, among other things. But what about persuading somebody without words – possible? 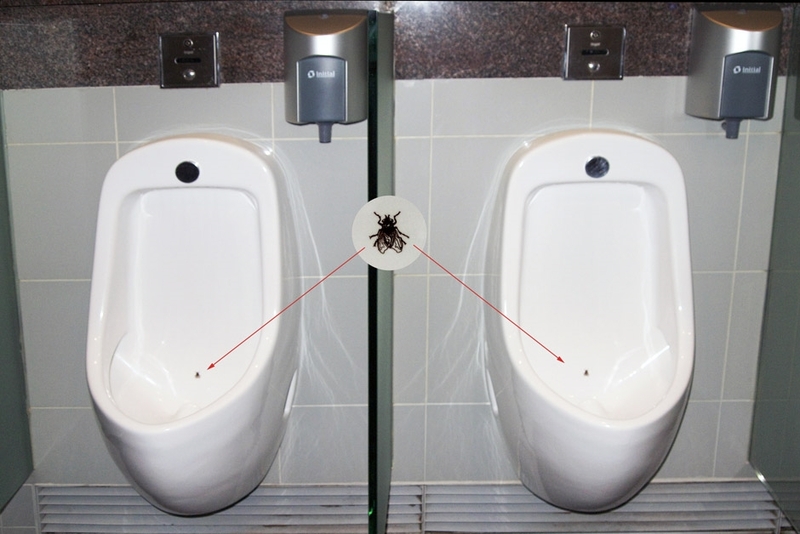 The presence of a fly in a urinal literally changes human behavior. How come? Apparently men have an instinct to aim. When flies were introduced at Schiphol Airport in Amsterdam, spillage rates dropped 80 percent (don’t want to know how they measured it). This is a clear case of getting people to do what you want without using words. Persuasive design in action. 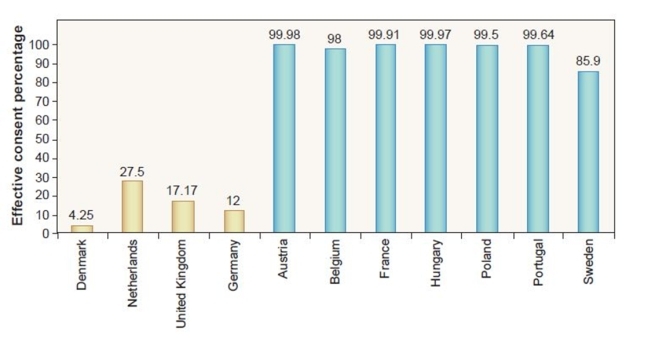 Are people in Denmark selfish? So only 4.25% of Denmark, but over 99% of Austrians – what’s going on here? Are Austrians more self-less than the Danes? Well, no. What’s really happening is, when the people represented with the yellow bars go get their drivers license, there’s a check-box on the application that says ‘tick this box if you want to become an organ donor’. In the countries represented with the blue bars, the check-box says “tick this box if you do NOT want to become an organ donor”. People go with whatever is the default. Defaults are design, too.